Mi 4S: Complete Specification, Review And Features: Xiaomi has releases it’s budget smartphone this time with Mi 4s which is sound like iPhone 4s but it’s not form any where. Xiaomi launched it’s smartphone with pretty good specs with awesome price that anyone can able to buy. Low cost dons’t mean low quality as Xiaomi team always tries to deliver good build quality and awesome specs underneath it. This time they offer with Mi 4s which it great smartphone for the price and nice design. Mi 4S power with Snapdragon 808 with 3 Gb of Ram. Phone comes with 64 GB of internal memory with expandable memory of 128 GB. This smartphone also has to offer some nice aspects from premium phone like glass design, good processor, good amount of storage with expansion possibility, nice camera, great display many more to talk about. First time this 4 series has adopted the fingerprint sensor as 4 series predecessor don’t has it. 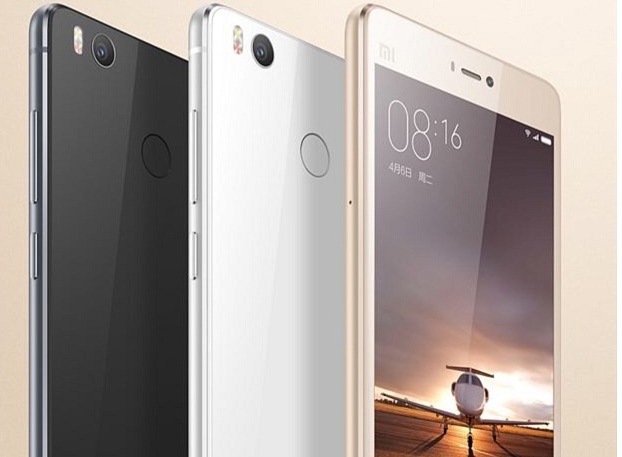 Xiaomi adopted Mi 4s design much more look like premium phone unlike the previous Xiaomi smartphones which were composed of plastic which feel cheap, but in Xiaomi Mi 4s has metal body that gives the phone a premium and elegant touch. The design factor for Xiaomi is much more refined as compared to other budget phone for Xiaomi as it has very nice material with placemant of each and every thing in right place as camera, fingerprint sensor and so on. It measures 139.26 x 70.76 x 7.80 mm and weighs 133 grams. Camera and speaker on the top while buttons on the bottom. The power buttons and volume are on the right side while the left we have the SIM slot and Micro-SD cards. 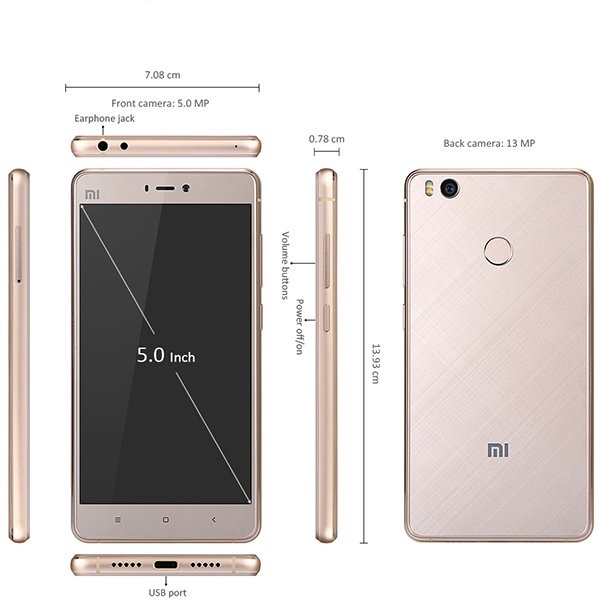 Xiaomi Mi 4s adopted 5-inch of 1080P display (~441 ppi pixel density). The display on the Xiaomi Mi 4S is pretty nice and looks good. The phone’s display has great saturation level and vibrance viewing angle of display is also good. Sun light readability for this phone is awesome which help many of us to use phone outdoor. The Xiaomi Mi 4S is equipped with Qualcomm’s Snapdragon 808 hexa-core CPU Quad-core 1.44 GHz Cortex-A53 & dual-core 1.82 GHz Cortex-A57 ,which is choice of many manufactures for last year flagship. Snapdragon 808 is good CPU with good performance and you will not feel for more power for running apps or game as this processor is sufficient for all work we do in smartphone. Mi 4s uses Adreno 418 GPU which helps ensure smooth gaming performance. You don’t feel performance issue in games. There is 3 GB of RAM as well, which is more than enough when multitasking or gaming. Mi 4s has microSD card expansion slot, allowing you to add more storage if you need it as phone internal memory is 64 GB. The lack of U.S. 4G LTE support may be a deal breaker for some. Xiaomi Mi 4S has LTE compatibility which is pretty common on today’s smartphone but sad for U.S. people as it not support U.S. LTE bands as it limited to HSPA+ on AT&T in all areas and HSPA+ on T-Mobile in some areas. Phone comes with dual-SIM compatibility which is very nice to give user a choice to use different service providers. Phone is also equipped with Fingerprint sensor which is pretty accurate, fast and make your any data from files to photo safe. Xiaomi also included a USB Type-C port, as well as compatibility with Qualcomm’s Quick Charge 2.0. If you look towards the right of the USB Type-C port, there is speaker which is very loud and nice sound quality. Phone has 3080 mAh non-removable battery which gives about 4-6 hours of usage which is pretty good battery life. 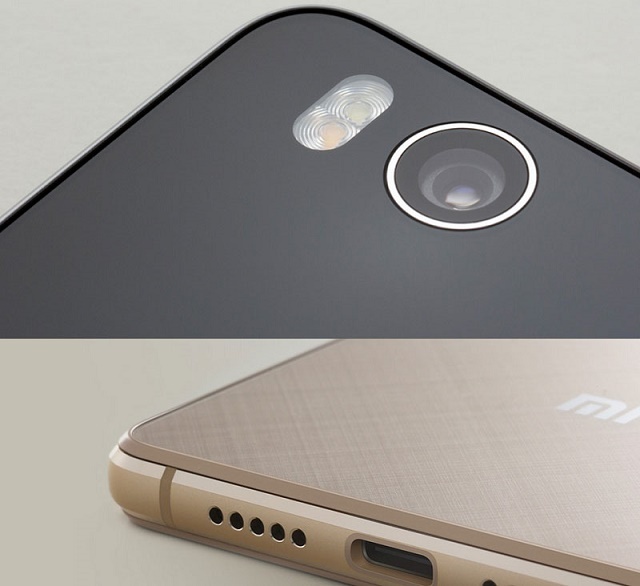 Mi 4s is equipped with 13 MP rear camera sensor with f/2.0, phase detection autofocus, dual-LED (dual tone) flash. Camera can capture video 1080p@30fps and 720p@120fps. Xiaomi Mi 4s camera performed very well. Images taken in good lighting were sharp and detailed, with very good HDR imaging. Although the dual-LED flash or the dual tone flash gives great imaging in night with good background color. But night imaging in terms of light is not good as no OIS in the camera. Front camera has 5 MP sensor f/2.0 front-facing camera which gives very nice output image with great saturation and lighting. It can record video at 1080p. Camera software optimization is very good which gives nice total output and image looks stunning and nice. 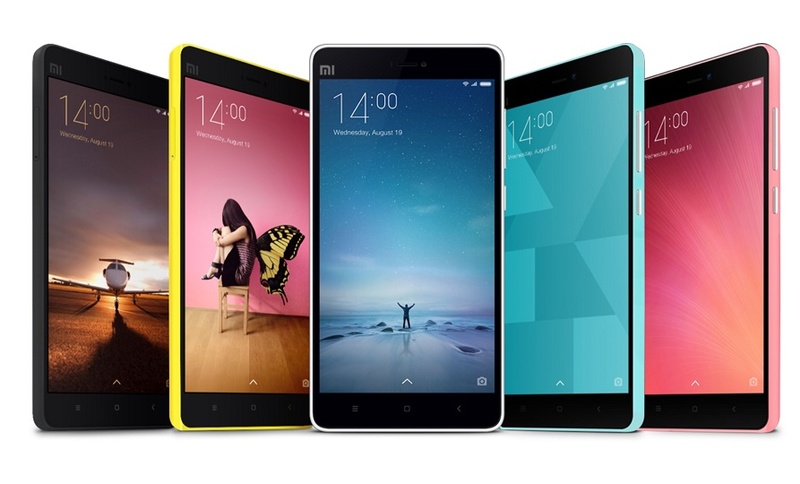 Xiaomi is shipping the Mi 4S with MIUI 7 over Android 5.1.1 Lollipop. Which is very sad for many user as this is Marshmallow time Xiaomi still run Lollipop and other version of also arrived as developer preview so it runs about 2 year old OS. MIUI has adopted many design pattern of iOS in terms of simplicity and design with topped Android feature so is kind of “iDroidOS”. MIUI offers a stable experience that has been carefully curated and good makeover over the past few versions and while it is missing a few features found in stock Android, it will be comfortable for any MIUI enthusiast to use. The phone is good but best as compared in it’s price range what’s it offer. But overall we look what smartphone gives to us and no doubt to say it is good in terms of all aspect. It uses Wi-fi 802.11 ac with Bluetooth v 4.1 it also have GPS. But the phone has lack of Global usage as it not able to give LTE in U.S band, there is in disappointing low-light camera performance, and an outdated version. Xiaomi adopted design from OnePlus X for Mi 4s. At the back glass is curved and with side they made it from aluminium as Mi5 however design gives you much pleasing look as flagship phones gives. 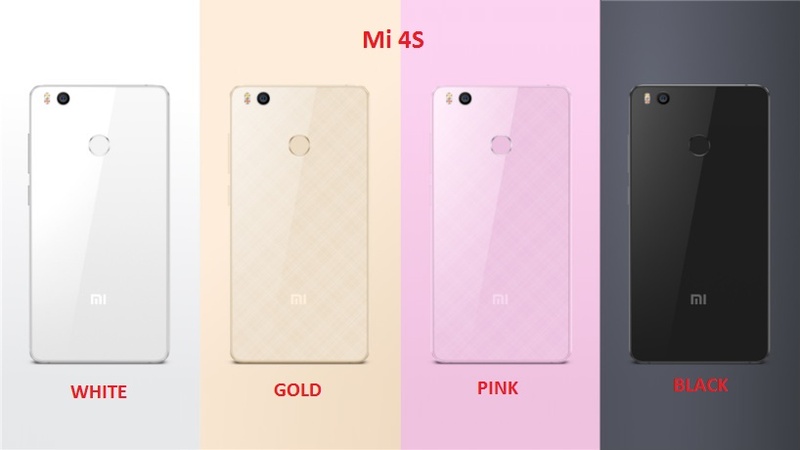 For a person who loves color Xiaomi available this phone in 4 color option of Black,White,Gold and Pink. It has good look, beast processor good camera, responsive fingerprint sensor and so on. 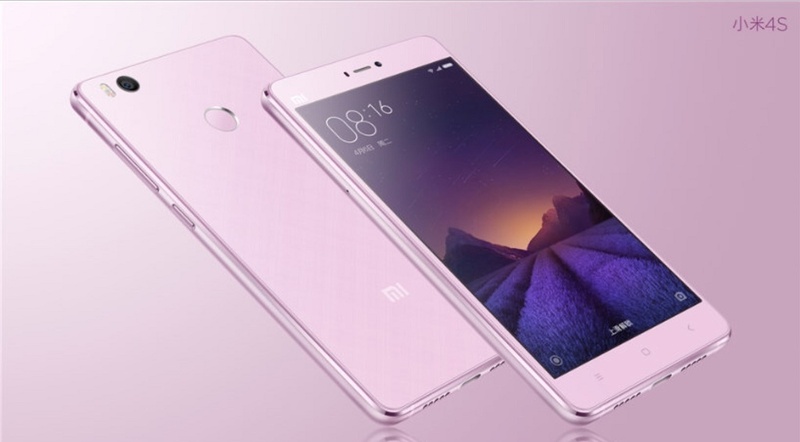 Xiaomi offer this phone in 4 color option of Gold,Pink,White and Black which is priced at $263 for 64 GB version.